This was one of the best picnics! I've forgotten the occasion. It may have even been a really bad day, but isn't it great that's not what I remember. 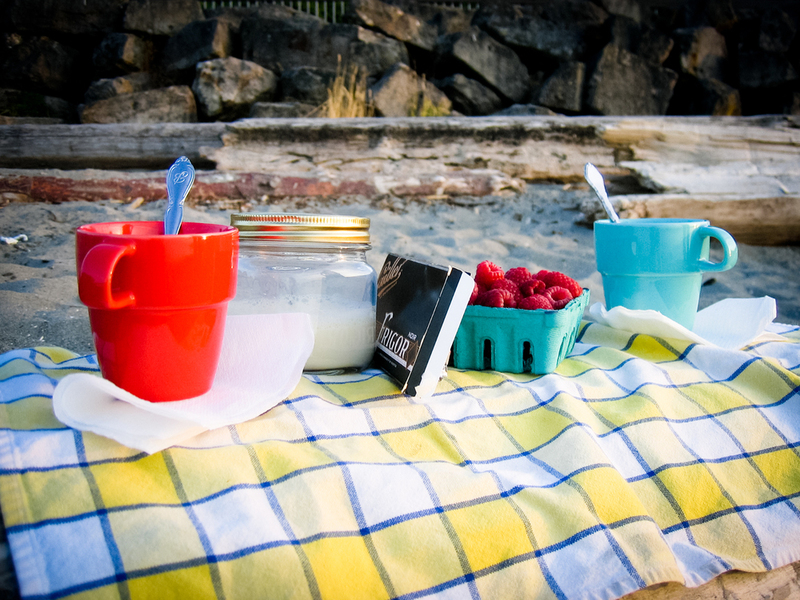 I just remember B packing a basket of coffee, chocolate, and raspberries - then heading down to the beach for an evening chat. Oh and these cups. We each got a set in France at their version of Target. One of my favorite things from those days! Oh and always bring a tablecloth.